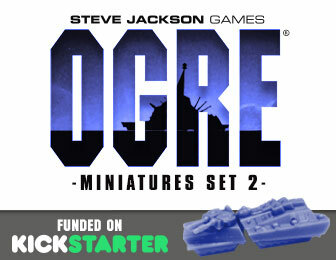 Watch out, Ogre Miniatures are once again rumbling onto the battlefield! 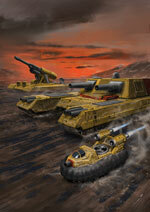 Attempt to defeat the Ogre with even more combat units, including the dreaded Paneuropean Fencer! Customize these unpainted miniatures and immerse yourself in exciting futuristic combat with this second set of Ogre minis, compatible with Ogre Sixth Edition and Ogre Designer's Edition and Ogre Miniatures Set 1! In addition, Ogre Miniatures, Second Edition is a completely updated and revised edition of the original miniature rules.